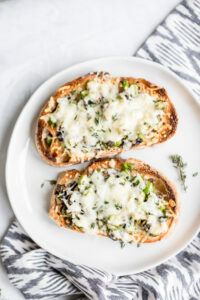 Tartines are a fancy way of saying “open-faced sandwiches.” I prefer calling them tartines not because I’m fancy (I most definitely am not that), but because open-faced sandwiches is incredibly clunky to put in the name of a recipe. I’m very into the tartine concept because with two tartines, you get double the filling with the same amount of bread. And the filling is the best part of a sandwich! 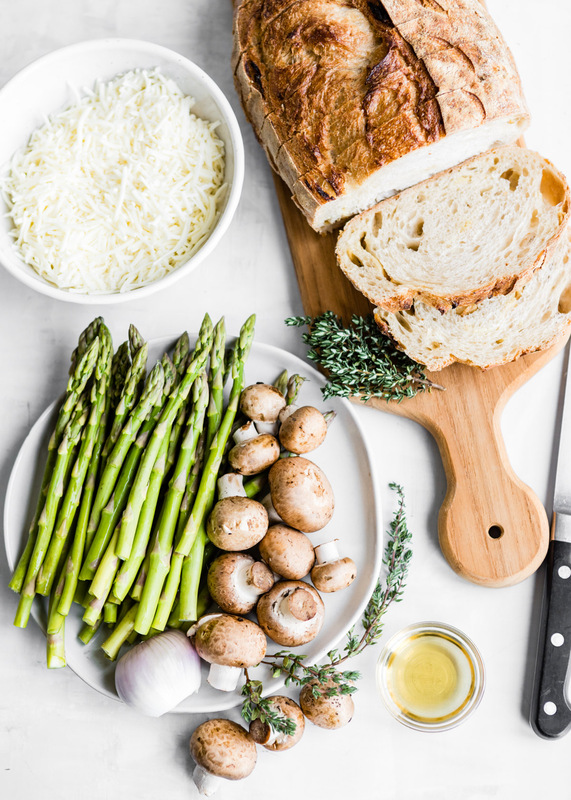 If you’re a traditionalist, you might quibble that a tartine needs to have some kind of spread on it in order to be a tartine–these Cremini and Asparagus Tartines are topped only with vegetables and cheese, but that’s really all they need to be completely delectable. 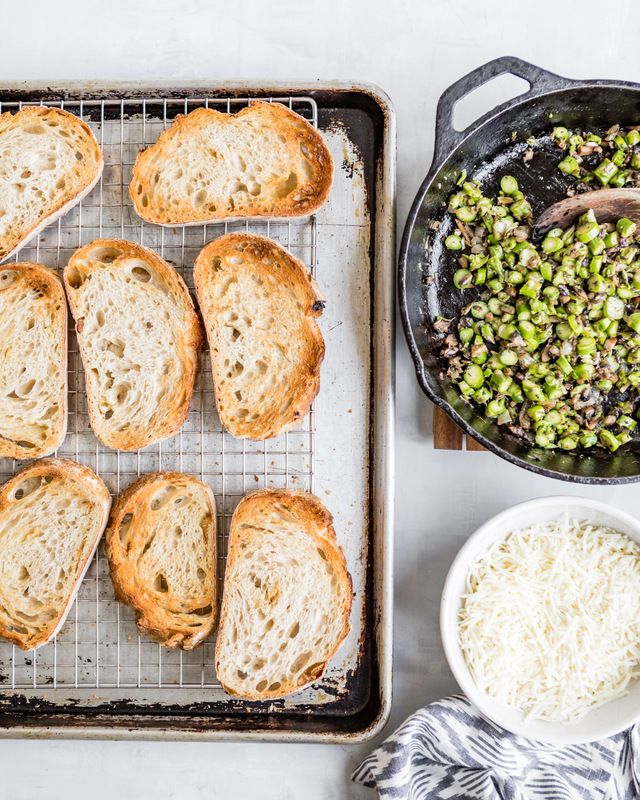 To make the tartines easier to bite into, the asparagus is cut into rounds before sautéing with shallots and chopped cremini mushrooms. A few teaspoons of white wine vinegar brightens up the flavor with a touch of acidity. 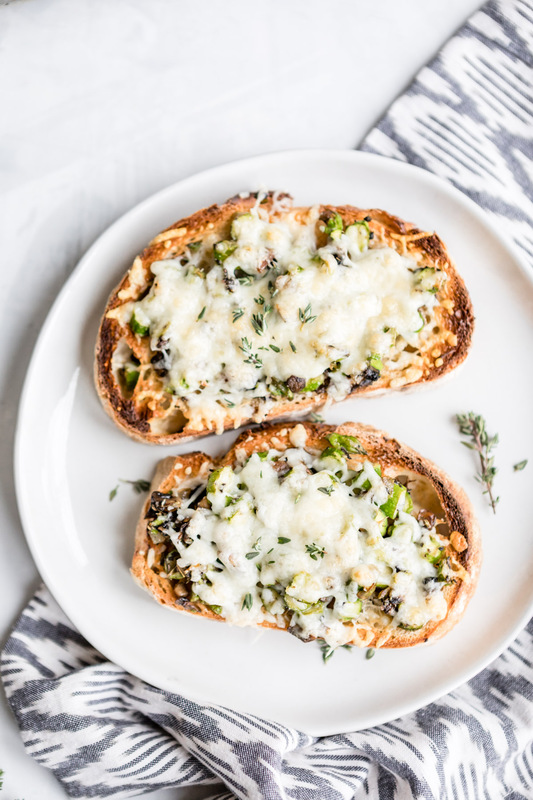 If you’re a fan of mild, melty cheeses, top your tartines with Monterey jack. For more complexity, opt for gruyere–Boar’s Head is made with vegetarian rennet. 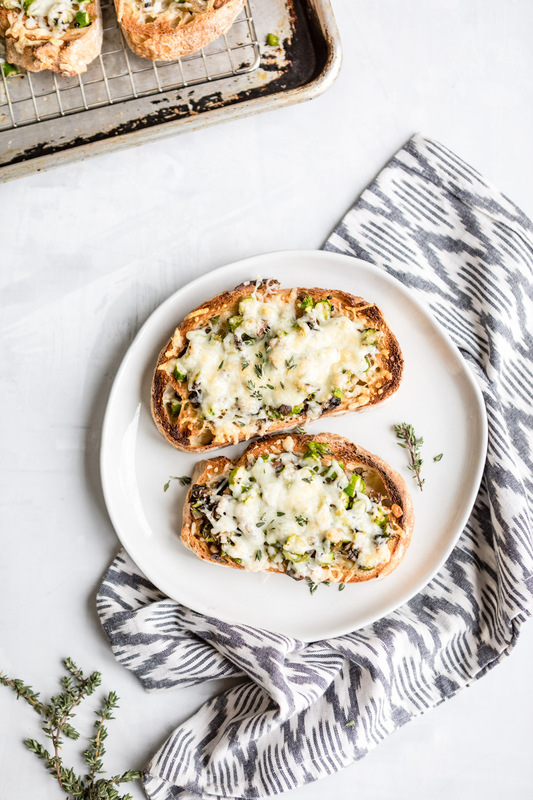 The best thing about tartines is that you can improvise with whatever vegetables are in season and whatever cheeses you happen to have on hand. As long as you start with a sturdy, crusty bread, you’re good. 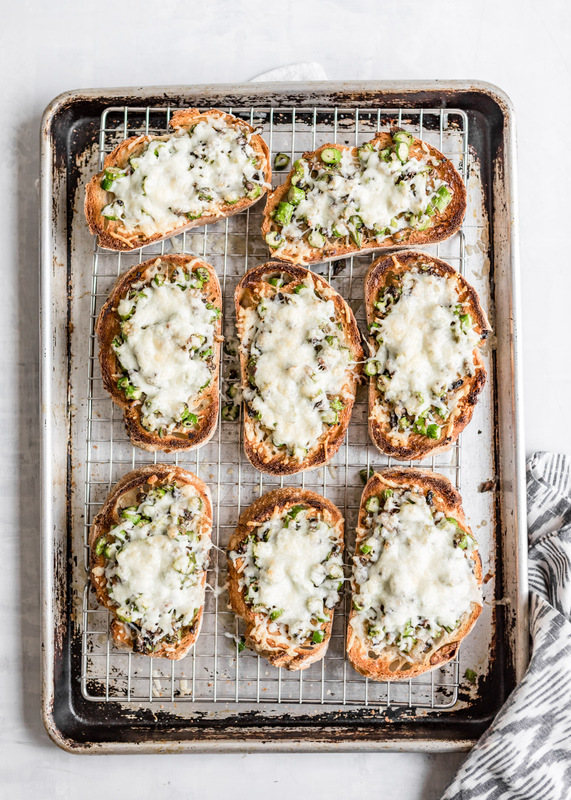 Crispy toasted bread topped with spring vegetables and plenty of cheese. In a large skillet over medium heat, warm up the olive oil until it's shimmering. Add the shallots and cook for 4 minutes, stirring often, until softened and just beginning to brown. Increase the heat to medium-high and stir in the mushrooms; cook for about 5 minutes, or until the mushrooms release their juices and the liquid cooks off. Add the asparagus, thyme and vinegar. Cook for 2-3 minutes, or until the asparagus rounds are tender-crisp. Season to taste with salt and pepper. Divide the asparagus mixture onto the bread. Sprinkle the cheese over the veggies, then return the baking sheet to the oven and broil until the cheese has melted and is beginning to brown in places (checking every 2 minutes to make sure they don't burn). Garnish with additional thyme and serve.